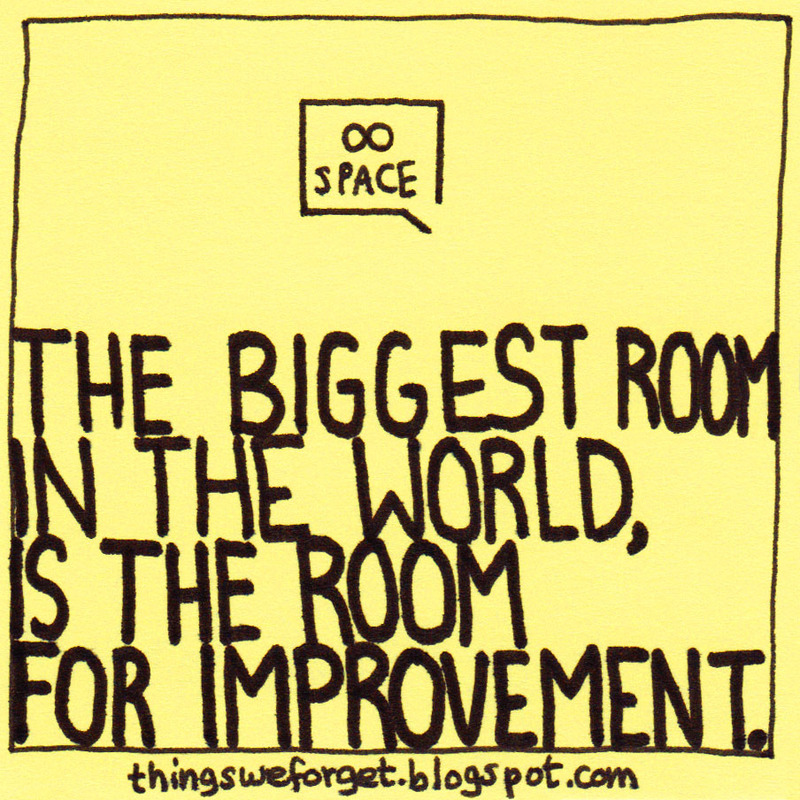 Things We Forget: 981: The biggest room in the world, is the room for improvement. 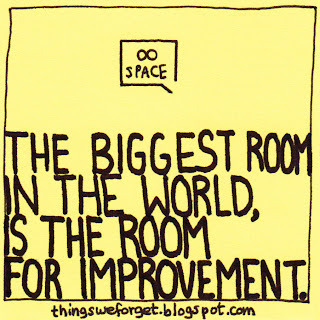 981: The biggest room in the world, is the room for improvement. Sorry, couldn't leave this anywhere. If you want the original note. Just leave a comment. Tabitha, it's yours. Please send your snail mail adress to cpwriter96@gmail.com.